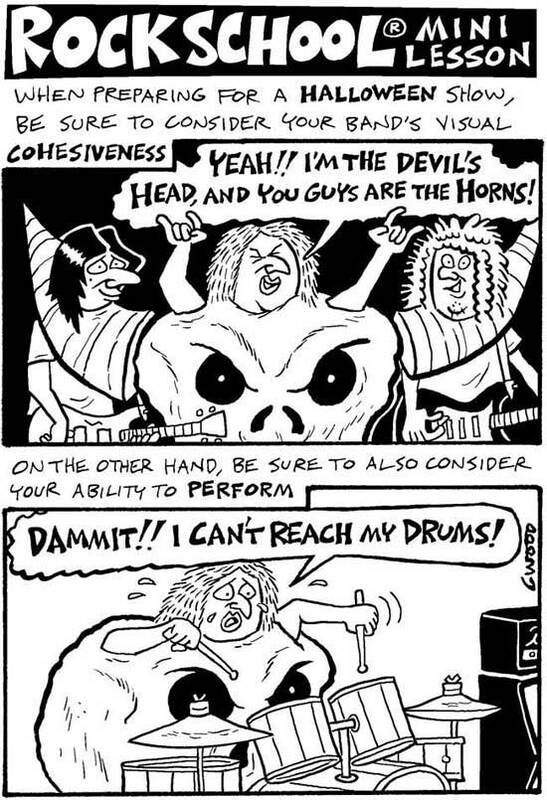 Comics about playing in a local band. NOT a real school. Hey look, a post that has nothing to do with merchandise! 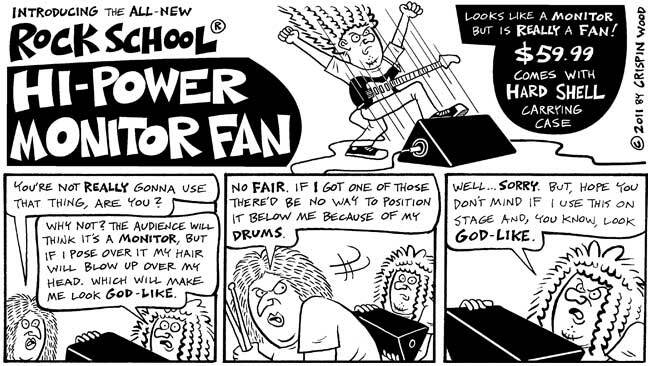 Take careful note of this obvious but often overlooked problem, courtesy of a new Rock School Mini Lesson. Does Anyone Have An Extra Pick? 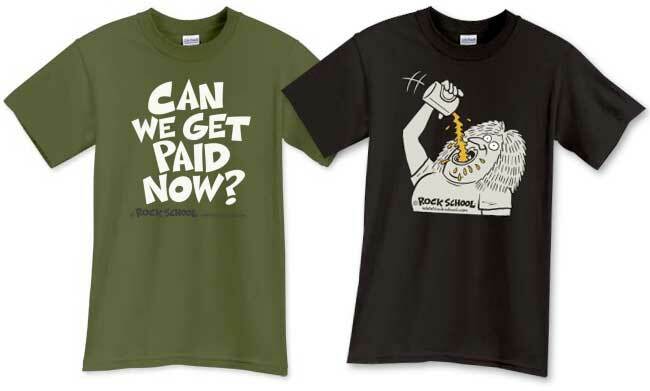 I don’t want every post here to be a pitch for Rock School merchandise. 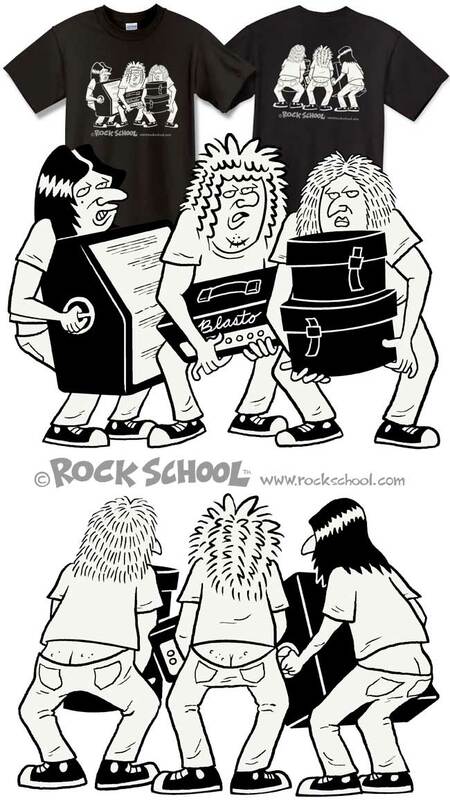 Unfortunately, this post is about Rock School Merchandise. But this is important! 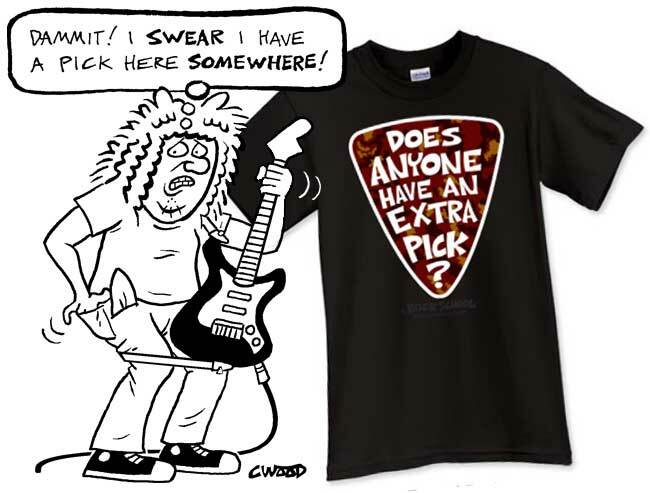 If you happen to be a guitar player, and you happen to be on stage, and you happen to have no pick, then this shirt’s for you. Here’s a new shirt. Double sided! Check it out! Lots of different colors to choose from. In a few weeks I’ll add more designs and more products. Rock School is © 2016 by Crispin Wood. All rights reserved. Some of the content on this site is intended for mature viewers only.